Side benefit that ammonia is also reduced by ~30%. 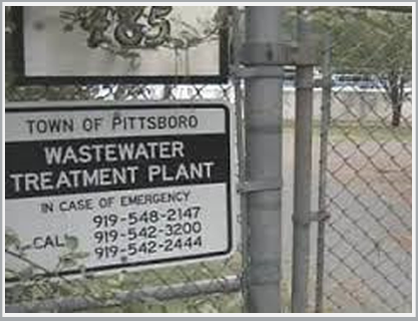 Remove phosphorus from pharmaceutical process water and reuse the water in the cooling towers. 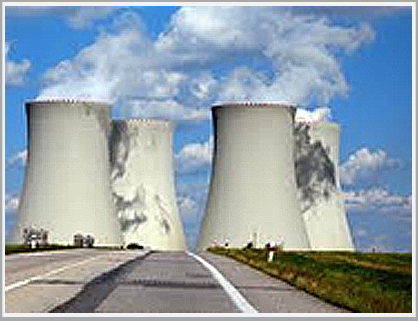 Water which would normally be discharged is treated and sent to the cooling towers as makeup water. Purchase of new water is reduced and costs for discharge are eliminated. Savings of over $200,000 USD annually by recycling the water. Reduced ash scrubber water suspended solids. Goal was to remove ash so water could be recycled. Removed ~97% of the ash. Influent ash TSS concentration averaged 8,794 mg/l. Effluent ash TSS averaged 288 mg/l. Higher capture and cleaner effluent could have been achieved with a higher polymer dose but that was not the goal of this work. Treated slick water with the goal of removing suspended solids and selective dissolved metals. Successfully removed both the solids and metals such that the water can be recused. Pond had high algae growth which was removed in the MBC. 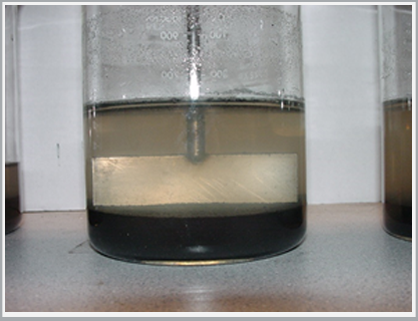 Influent suspended solids of 270 mg/l was reduced to 20 mg/l representing 93% removal. Large compost production facility was having difficulty handling leachate from their compost operations. Leacate was over 4,000 mg/l in BOD and over 7,000 mg/l in COD. It also contained high phosphorus and nitrogen concentrations. An MBC in combination with aerobic treatment was tested in the lab and reduced the BOD and COD by 99%, Suspended Solids by 82%, phosphorus by 26% and ammonia by 23%. The goal of this work was to increase the settling rate of the activated sludge. The activated sludge MLSS was 2,740 mg/l. Magnetite was added with a cationic polyacrylamide flocculating polymer at a rate to ensure good attachment of the activated sludge particles to the magnetite. 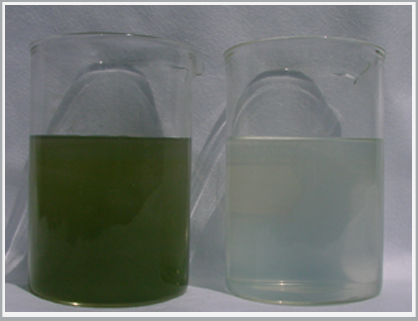 The clarified effluent of the MBC treated activated sludge was in the range of 12 to 19 mg/l indicating good clarification. The sludge height over time was measured for both MBC treated and untreated activated sludges. Settling rates were measured for four concentrations made by serial dilution. For all concentrations, the MBC treated activated sludge settled more rapidly than the activated sludge without treatment. At MLSS concentrations of 1,096 mg/l the MBC sludge settled approximately 574% faster. However, at the highest concentration tested of 2,740 mg/l the MBC sludge settled 1,574% faster or over fifteen times faster. The goal of this work was to increase the settling rate of the activated sludge. The activated sludge MLSSwas 2,010 mg/l. Magnetite was added with a cationic polyacrylamide flocculating polymer at a rate to ensure good attachment of the activated sludge particles to the magnetite. 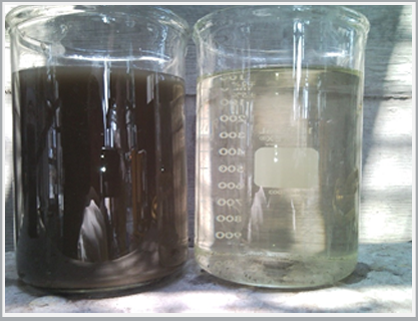 The clarified effluent of both the MBC treated and untreated activated sludge was in the range of 4 to 7 mg/l indicating good clarification. The sludge height over time was measured for both MBC treated and untreated activated sludges. Settling rates were measured for four concentrations made by serial dilution. For all concentrations, the MBC treated activated sludge settled more rapidly than the activated sludge without treatment. 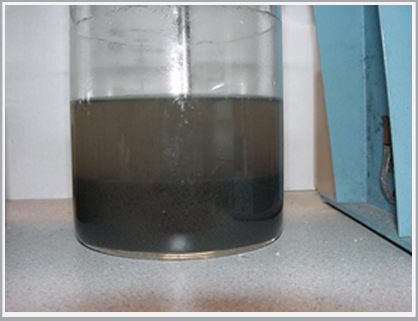 At MLSS concentrations of 402 mg/l the MBC sludge settled approximately 67% faster. However, at the highest concentration tested of 2,010 mg/l the MBC sludge settled 786% faster or almost eight times as quickly. This facility has wastewater with solids which are difficult to settle. The solids overload the treatment facility resulting in high BOD and solids in the effluent. MBC treatment was able to reduce these solids from over 5,000 mg/l to 55 mg/l. 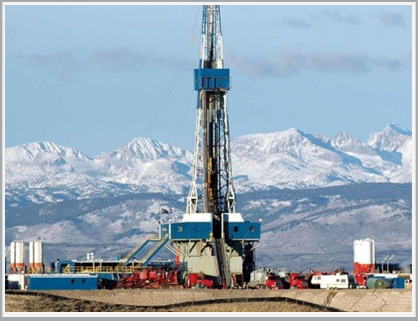 The settling rate of the sludge also increased greatly and a more compact sludge was produced. Right – sample treated with 7139 and magnetite.